In medium bowl, coarsely mash avocados, lime juice, salt and hot sauce using potato masher, pastry blender or fork. Stir in pico de gallo. If desired, top with additional pico de gallo for garnish. Serve with tortilla chips. You can substitute 1 seeded finely chopped jalapeño chile or 1/4 teaspoon ground red pepper (cayenne) in place of the hot sauce. Pico de gallo, also called salsa fresca, is a condiment made with chopped tomato, onion and cilantro leaves. You can purchase it in the refrigerated section of the grocery store. This fresh guacamole has all the goods: ripe avocados, pico de gallo, a bit of lime or lemon juice, a dash of hot sauce and seasonings. Even better, it’s ready in just 10 minutes! This makes it ideal for whipping up right before guests come over. 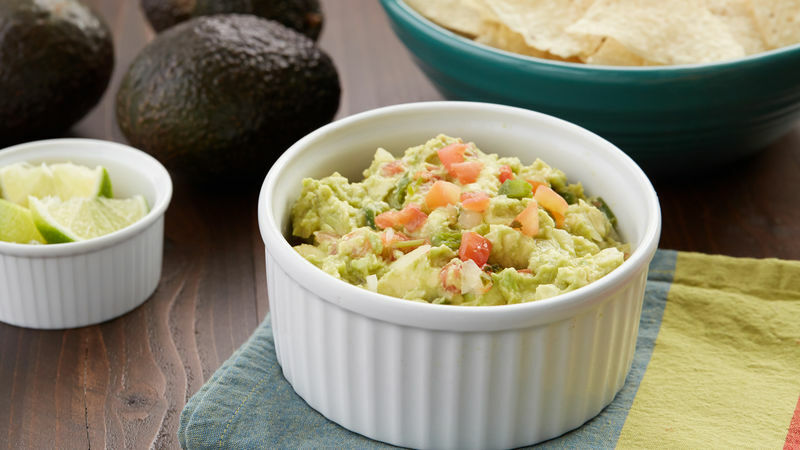 While you can store guacamole in the refrigerator, it tastes best when it’s fresh. It looks better too! You may have noticed that avocados turn brown when they have been sitting out too long. This doesn’t mean they have gone bad, necessarily—cut avocados turn brown when exposed to air. Though they taste the same, they certainly look less appetizing, especially when you’re trying to impress guests at a party. 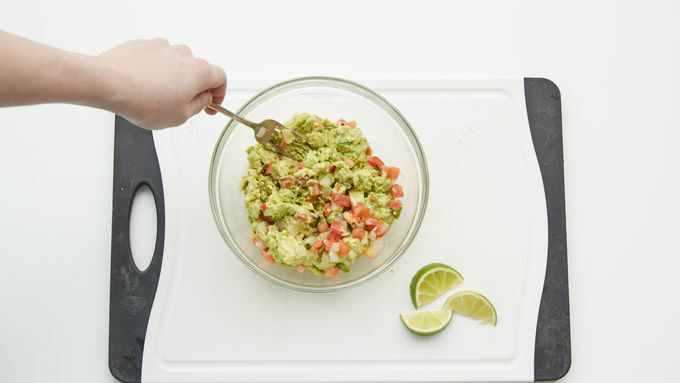 You can help prevent the browning by covering the guacamole so it doesn’t come in contact with the air. Do this by storing in the refrigerator until you are ready to serve it by placing it in a container with a tight lid, or covering the bowl tightly with plastic wrap. 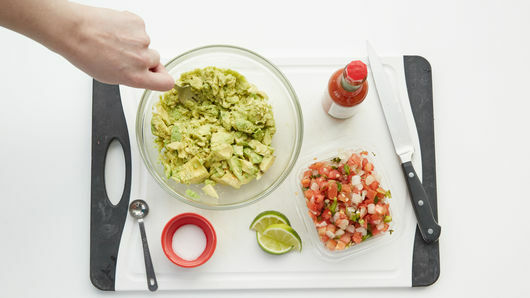 Want more tips on how to make the very best guacamole? Read this article and become a guac pro in minutes.